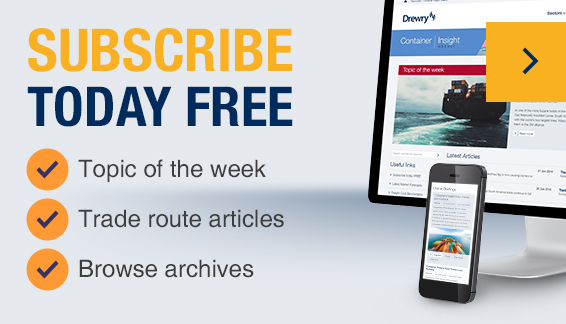 Drewry - Maritime Research Opinions - Could owner consolidation help correct tonnage oversupply in the multipurpose shipping sector? Could owner consolidation help correct tonnage oversupply in the multipurpose shipping sector? There has been a lot of talk of consolidation of the multipurpose vessel (MPV) fleet over the last few months, the recent announcement of a new joint venture between NovaAlgoma and Peter Dohle that will operate 26 vessels (13 MPV and 13 mini-bulkers). At the other end of the scale rumours still circulate around Zeamarine as the company has publicly stated that it aims to have a fleet of 100 vessels in the near future (currently at 75) and it plans to achieve this by further M&A activity and not newbuilding. That last comment is cause for celebration, as there are still too many vessels that are overage, small and poorly equipped to compete in the global market. Consolidation has, for a long time, been held up as the last hope for this industry. Theoretically fewer owners should be able to share overheads and expenses over larger fleets. They should be more disciplined about ordering newbuildings and provide a united front against strong cargo owners. Other sectors (for example container shipping and steel manufacture) have benefited from some form of consolidation over the years. But does the merger of shipping companies really help reduce supply and therefore the market? Drewry’s estimate of the current MPV fleet (as of September 2018) comprises some 3,188 vessels with an average age of almost 17 years. The sector is highly fragmented. Our list of some 20 major ship owner / operators (as shown in the figure) account for just 30% of the total deadweight available to charterers, although they do represent the younger end of the fleet. Interestingly where the vessels are smaller, with less lift capability, the older they are. The fleets shown here that have those characteristics are operated in short-sea trades. This sector has finally started to see an improvement in charter rates after a market trough that has lasted well over five years. However, vessels in this sector are in urgent need of renewal and it is to be hoped that when owners do start to see a positive bottom line, the old tonnage is scrapped to make way for the new. For long haul trades, mergers and joint ventures have not meant fleet consolidation but they have brought about cost savings for the companies involved and the opportunity to schedule fleets to an advantage. In this way there is a positive market outcome for the operators. Some industry stakeholders have commented that without consolidation this sector will cease to exist in less than 10 years. Drewry’s view is that this is a little pessimistic. But it is true that only by working together will the smaller fleets be able to compete on the same playing field as the new wave of mega owners.